It’s the season of love! And Valentine’s Day reminds to take note of all the people we love - including, of course, all our nieces and nephews - by relation and by choice. A new report by Savvy Auntie founder Melanie Notkin and strategic market researcher Michael De Cicco, entitled GENERATION PANK: The Social and Economic Influence of Professional Aunts No Kids, demonstrates how this sizable tribe of child-loving women without children of their own - by circumstance, choice or challenge – give with all their hearts to the children – and families and friends – they love. 1. Your nieces and nephews are very important to you: A whopping 91 percent of PANKs say their role as aunt is “very important” to them. Whether you’re an Aunt by Relation (ABR), or Aunt by Choice (ABC), and whether you are childless by circumstance, choice or challenge, your nieces and nephews play a significant role in your life. 2. You love them more than you ever imagined you would: Whether it’s the way they look at you when you tie their shoe laces, how they lean their head on your shoulder while watching a movie together, or how they run into your arms to give you a big hug when you enter the room, our little moments with nieces and nephews are filled with big emotions. It’s no surprise that 89 percent PANKs say the experience of becoming/being an aunt is even better than they expected! 3. And you spread your love among a number of children in your life: Most PANKs (86%) have at least two nieces and/or nephews by relation and/or by choice in their life! Plus, a notable 13 percent of PANKs have 10 or more nieces and nephews! That’s a lot of love to go around! 4. You care about their education and well-being: Sure, aunts have a reputation of spoiling nieces and nephews with gifts, but Savvy Aunties also recognize the importance of investing in a child’s future. Many PANKs (63%) have contributed to a niece’s or nephew’s education, and nearly two-thirds (67%) have given gifts to parents to help provide for their child(ren). And when it comes to the occasional gifts, PANKs are also very generous. More than 4-in-5 PANKs feel a duty to give a newborn niece or nephew meaningful gifts, spending an average of $242 on each new baby niece or nephew. And of the 28 percent of PANKs who have purchased a one-time big-ticket item for a niece or nephew, they’ve spent an average of $1521 per item. 6. The “Auntventure” is just beginning: We know the time we spend with our nieces and nephews means the most. That's why we found that PANKs love spending “QualAuntie Time” with their nieces and nephews with “Auntventure Days” filled with meaningful experiences. Spending a special day together is momentous for the children, too. Few things make a child feel more special than a day their Auntie carves out to spend together. 7. Savvy Aunties feel the love, too: Most PANKs (83%) feel appreciated by parents as their child(ren)'s aunt. And 82 percent of PANKs feel appreciated by family and friends in general for the role they play in children’s lives. As for the love we receive back from our nieces and nephews? Well, naturally, that's unquantifiable! So here’s to all the Savvy Aunties and all the love you give - and receive - this season of love! 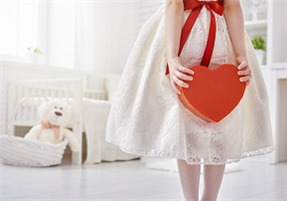 Home Expertise 7 Ways Aunts Celebrate the Season of Love!